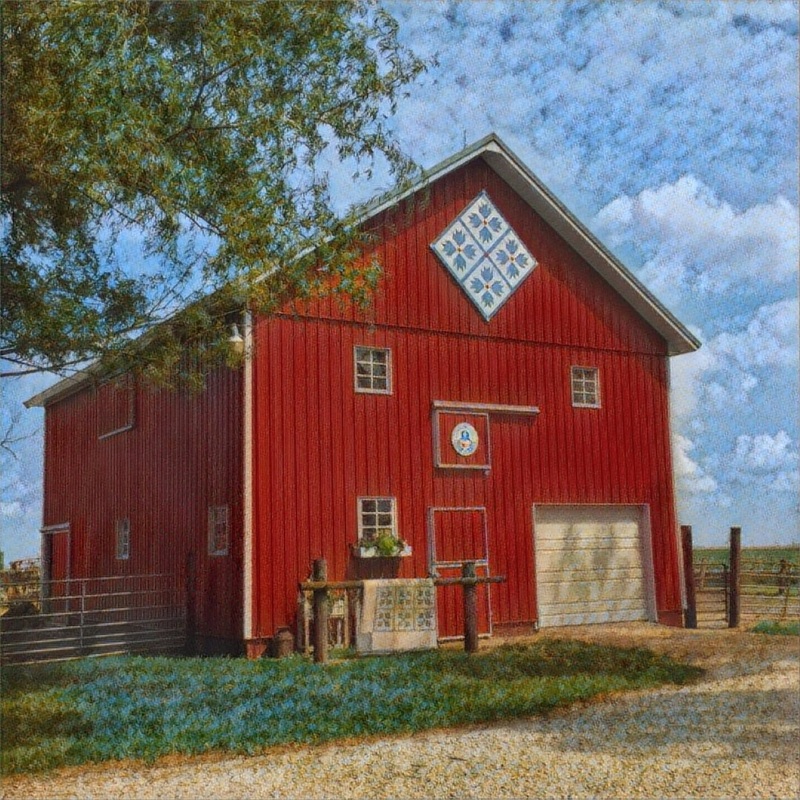 Dr. Whitman designed and drew out this 6 x 6 barn quilt. Jo chose the colors, and they both painted. The design is based on a king size quilt purchased from L.L. Bean in 1988 the year they got married. The quilt block pattern is called a Bear Paw. It is the eighth out of ten barn quilts they have painted together.